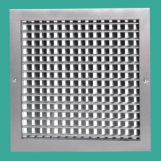 We are a leading Manufacturer of architectural grilles, deflection grill, air deflection grill, fixed deflection grill, double deflection grill and single deflection grill from Jaipur, India. 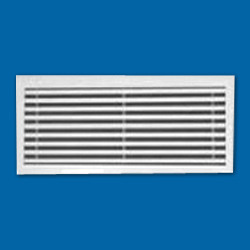 Used in high and low velocity systems for the purpose of process air handling and ventilation applications, the offered Deflection Grill is highly demanded in the market. 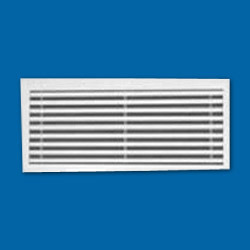 for the purpose of manufacturing these grills as per the industry set norms, the cutting-edge machinery is used. Moreover, these grills can be customized as per the specifications provided. 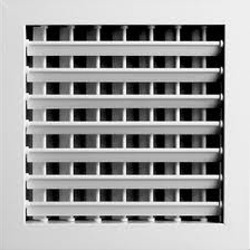 Being one of the leading manufacturers and suppliers of this impeccable range of Opposed Air Deflection Grill, we never compromise with its standard of quality. Thus we engage in the using of high grade raw materials and modern machines. Owing to this, the offered range is known to have a superior sturdiness, durability and resistance to corrosion. 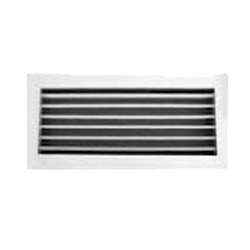 Offered in the market at the most reasonable rate possible, the Fixed Deflection Grill made available by us is widely praised and preferred. Owing to the finest raw materials and modern machines applied in its making, the product is known to have a superior sturdiness, durability, finishing and resistance to corrosion. In addition, it is marked at the most reasonable rate possible. We are considered in the market to be one of the leading manufacturers and suppliers of this impeccable range of Double Deflection Grill. For reasons of maintaining this reputation in the market, we engage in the utilization of high grade raw materials and modern machines. Owing to this, its sturdiness, durability and resistance to corrosion is quite high. For the purpose of making the finest Single Deflection Grill available in the market, we engage in the utilization of high grade raw materials and modern machines, in accordance with the set industry norms and guidelines. Owing to this, the offered range is known to be amongst the finest that are available in the market. Approx. Rs 350 / Sqft. 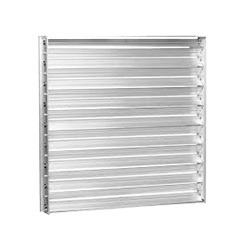 Looking for Deflection Grill ?